DREAMER: Adam Levy, an ordinary man with extraordinary hopes for the city. 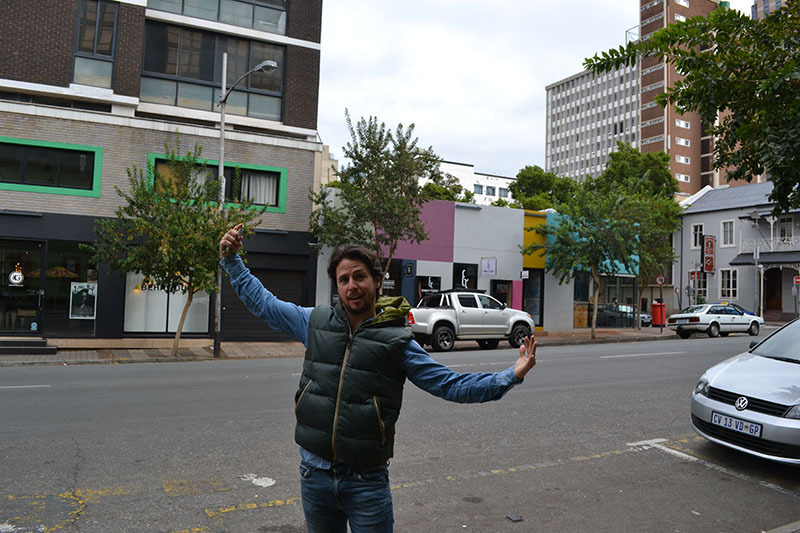 From a corporate and militant feel prior to 1994 to a vibrant multicultural hub two decades later, Adam Levy tells Wits Vuvuzela how Braamfontein got its groove back. The aroma of coffee, tall colourful buildings, art galleries and inspiring new business people rushing in and out of Braamfontein has become the order of the day in this rising village. When Wits Vuvuzela asked Levy ‘why Braamfontein,’ his answer was a firm one. “Why not Braamfontein?” He says he got his inspiration from traveling the world and experiencing a model of what a city should feel like. He said although Braamfontein is a small environment in the city, he was motivated to turn it into a “vibrant multicultural space” that people from all walks of life could enjoy. Levy said the city of Johannesburg has always lacked a relationship with its people and Braamfontein is transforming into a more cosmopolitan space that interacts with people living and working in the area. The manager of The Post coffee shop Shannon Schmidt said people were a lot more sceptical about coming to Braamfontein in 2010, when Post first opened but that has since changed. “On Saturday, it’s like the suburb jumped on a ship and decided to come to the city”, he said. Schmidt said new businesses has attracted more people and has also shown Joburgers that the city can be a fun place. Schmidt said Play Braamfontein is transforming the city into living area, a lively place night or day and has enabled entrepreneurs to “take back the city”. Now Joburgers do not have to look at movie scenes shot in New York and think ‘I want to have a life like that’, they can have that experience right at home.